Chicago (CNN) - Two street gang members have been arrested and charged in the killing of the young Chicago honor student whose death after her appearance at an event before the inauguration of President Barack Obama shocked the nation, a police source told CNN on Monday. The men face one charge of murder and two charges of attempted murder, the source told CNN. Washington (CNN) – Don’t look for Virginia Gov. Bob McDonnell to choose between celebrity businessman Donald Trump and Karl Rove, the Bush adviser who’s been at the end of Trump’s ire on Twitter. Washington (CNN) - When President Barack Obama speaks on Capitol Hill Tuesday night he'll have a club in one hand and an olive branch in another, figuratively speaking. According to Democrats close to the administration, he'll challenge Republicans to get on board with his economic agenda, including his plans for deficit reduction, broad tax reform and new investments. 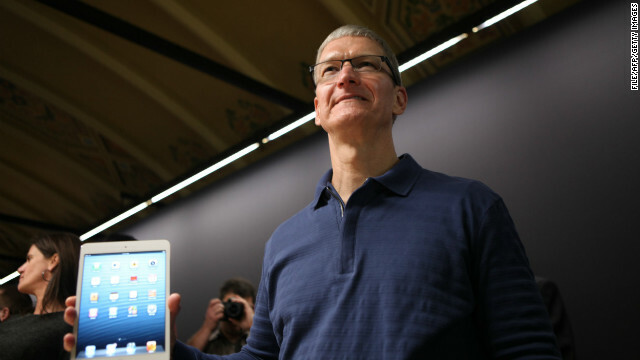 (CNNMoney) - Apple CEO Tim Cook has made it onto a very short list: He'll be a guest of First Lady Michelle Obama at the State of the Union on Tuesday. Cook will sit with the First Lady in special box seats, said a source with knowledge of the matter. The First Lady's other guests at the 2013 State of the Union include the parents of Hadiya Pendleton, the 15-year-old girl shot and killed in Chicago last month. 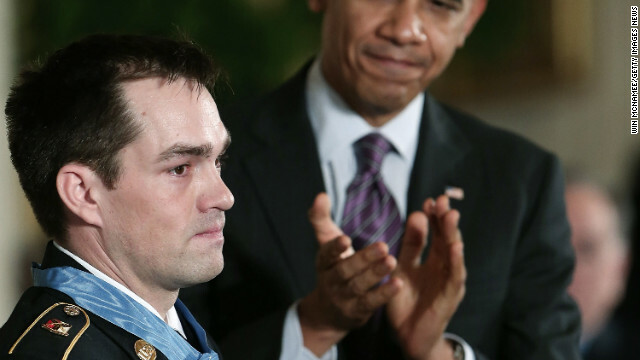 Monday's Congressional Medal of Honor recipient Clinton Romesha will also be Obama's guest. 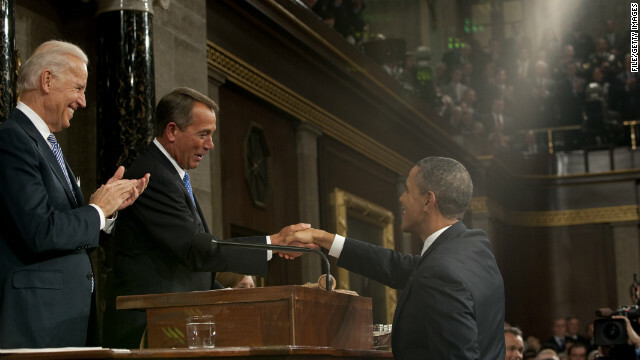 CNN's GUT CHECK | for February 11, 2013 | 5 p.m.
(CNN) – President Barack Obama will spend the bulk of Tuesday's State of the Union address talking about jobs and the economy, administration officials have told CNN. 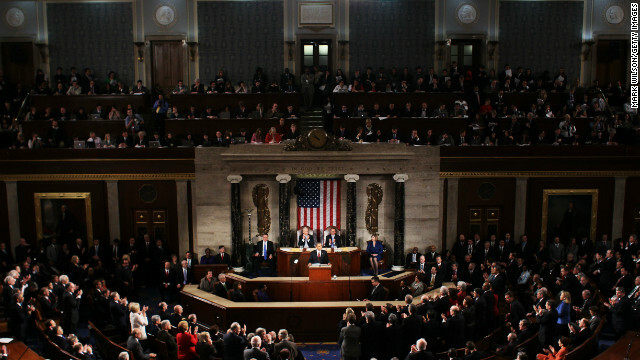 But as he addresses the joint session of Congress, one group in the House chamber will be listening for something else: the president's remarks on gun control. Washington (CNN) - Both sides from the dueling responses to the president’s State of the Union speech are treading carefully heading into Tuesday. Sen. Marco Rubio, R-Florida, is giving the official Republican response to the president’s speech. 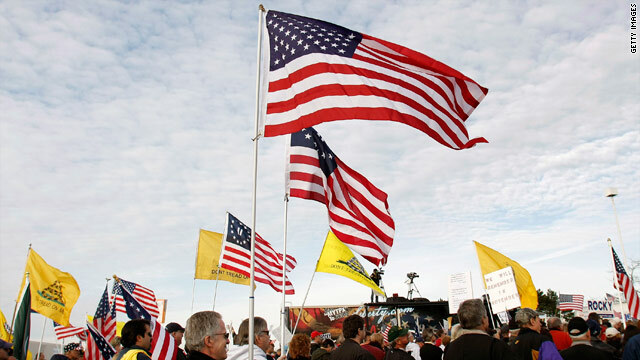 Rubio’s colleague, Sen. Rand Paul, R-Kentucky, will deliver the reaction from the Tea Party Express. 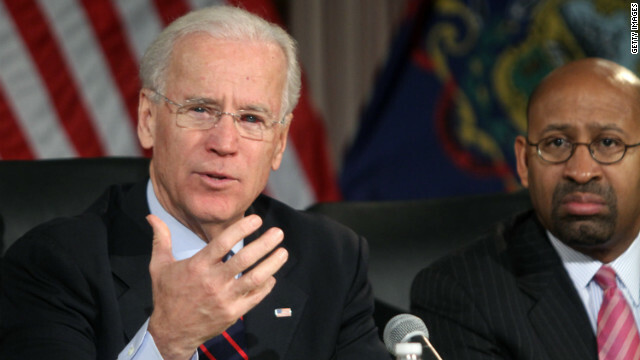 (CNN) – Eight weeks after the Connecticut elementary school massacre, Vice President Joe Biden emphasized a pressing need to continue pushing for tighter gun laws–and tried to throw water on fears that new restrictions may impose on ownership rights. "If we remain silent in the face of this tragedy, I think we're going to be judged really harshly," he said Monday. "I really mean that." (CNN) – Republican attempts at honing their message to become more inclusive are merely superficial ploys, the chairwoman of the Democratic National Committee declared Monday. "You can't put lipstick on a pig," Rep. Debbie Wasserman Schultz said on a conference call prebutting Tuesday night's Republican response to President Barack Obama's State of the Union address.